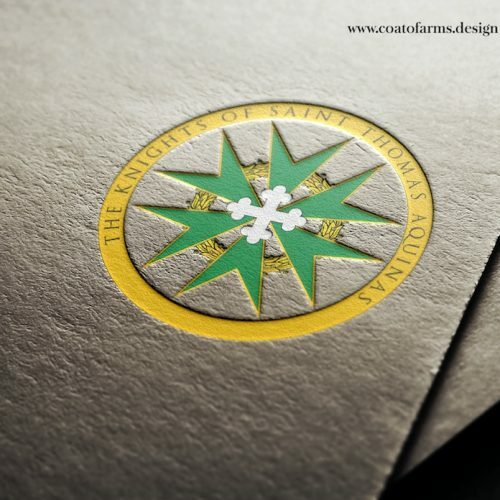 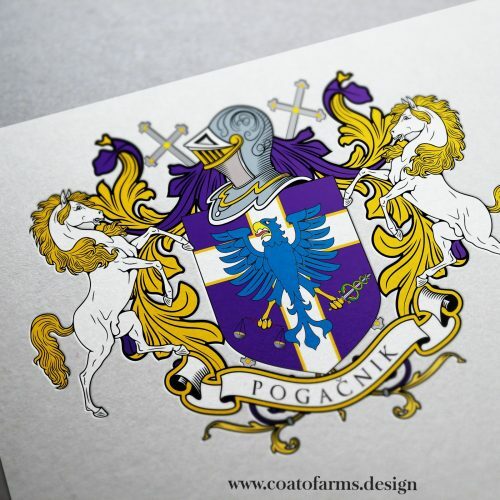 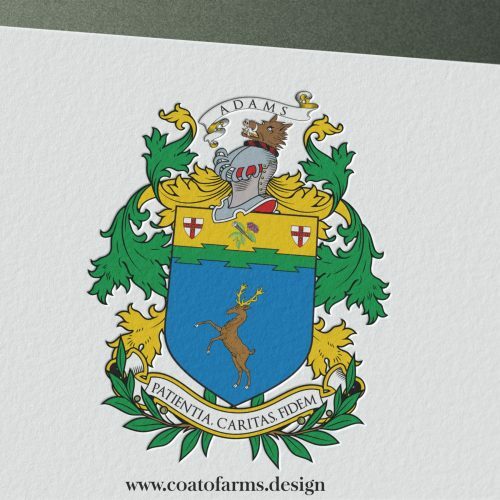 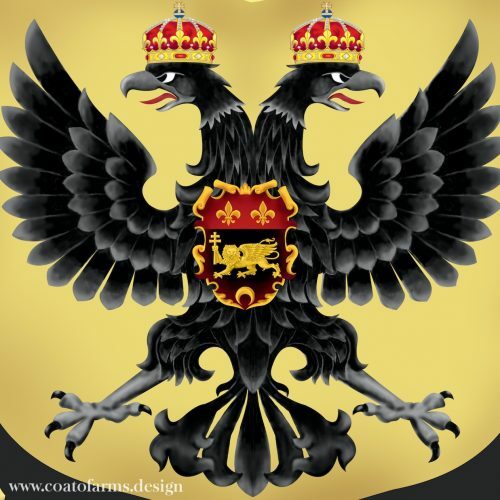 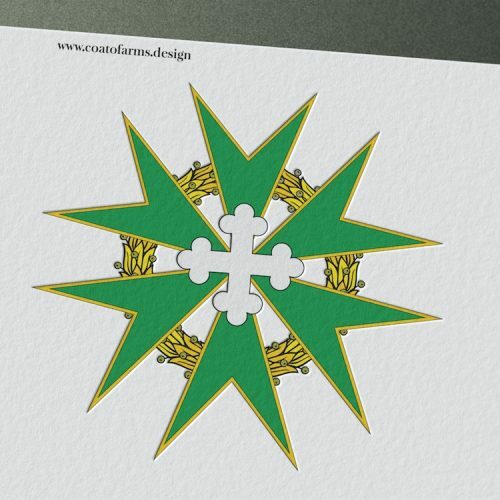 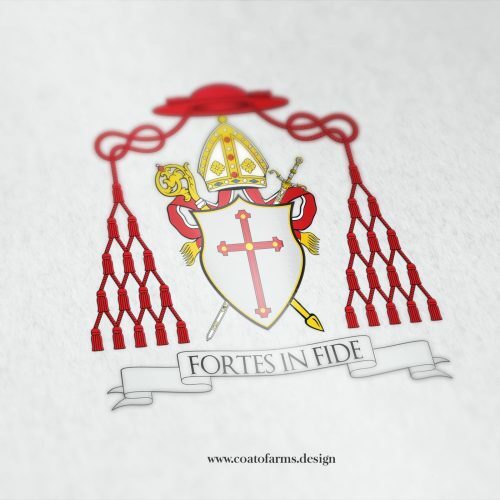 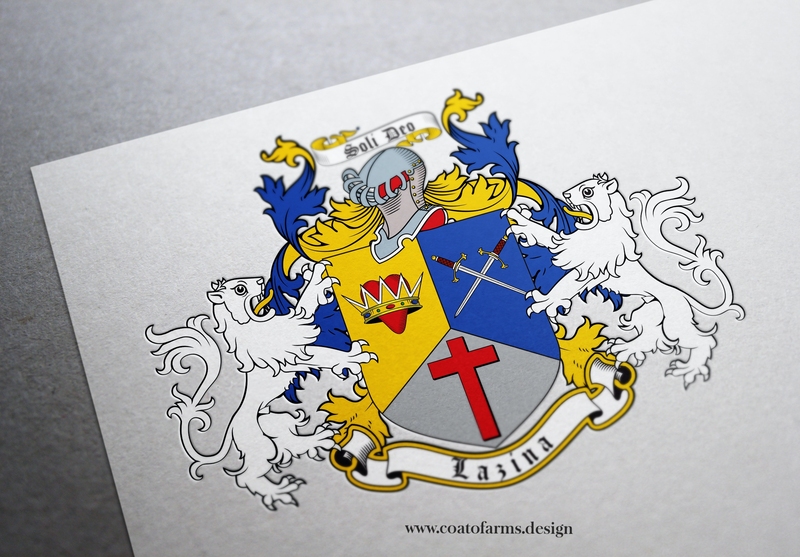 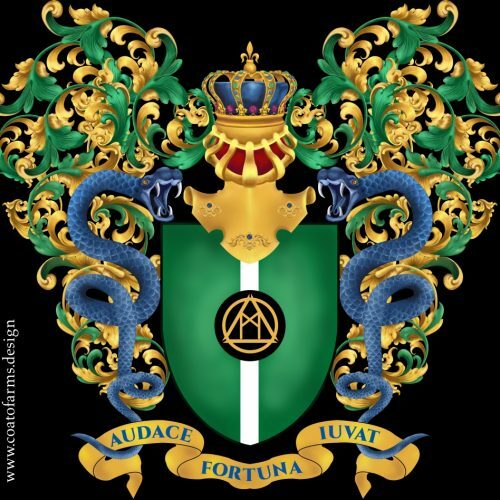 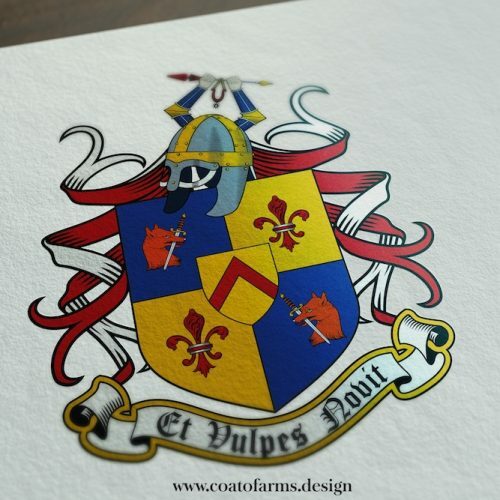 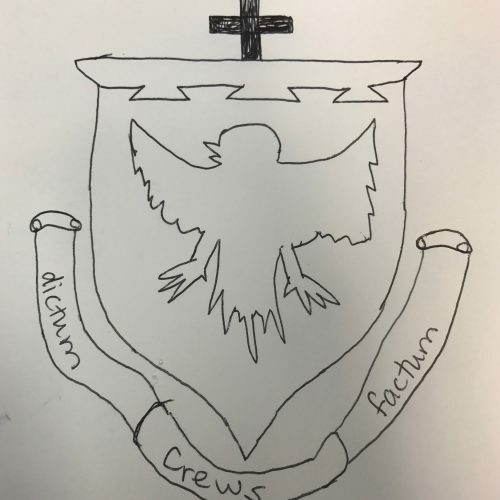 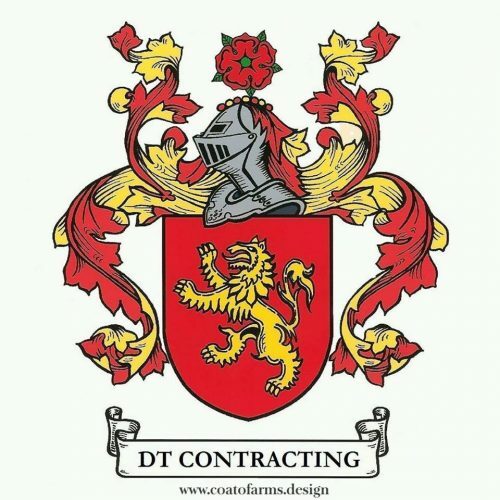 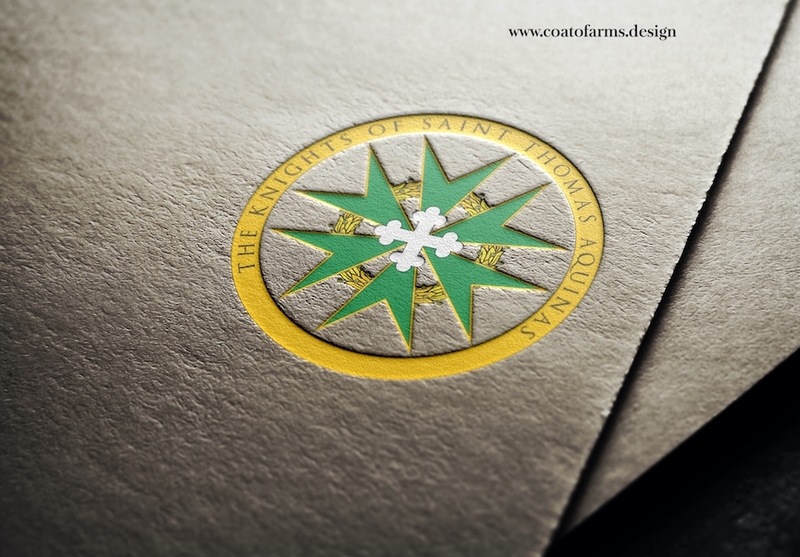 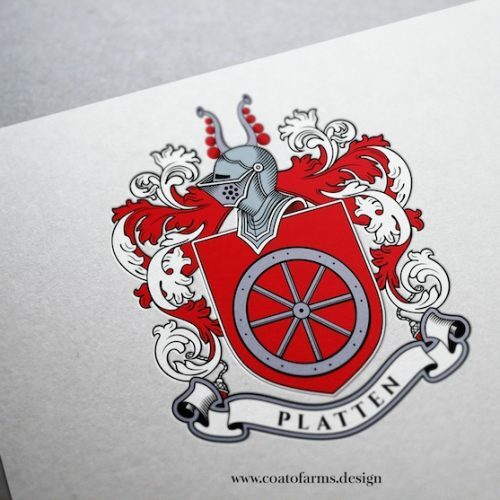 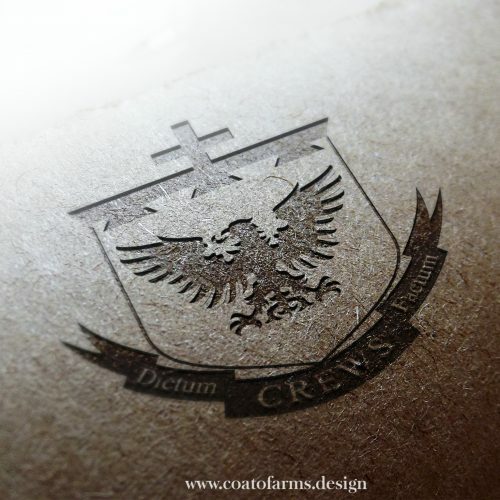 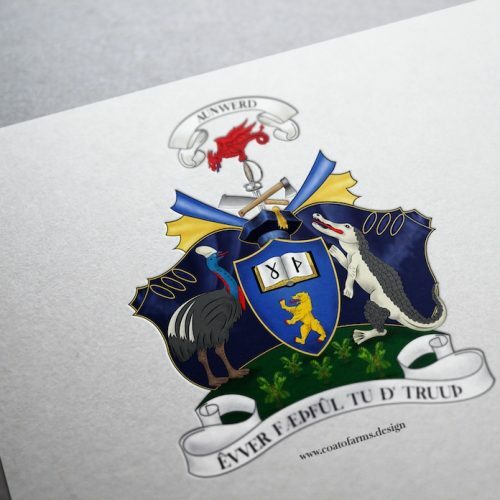 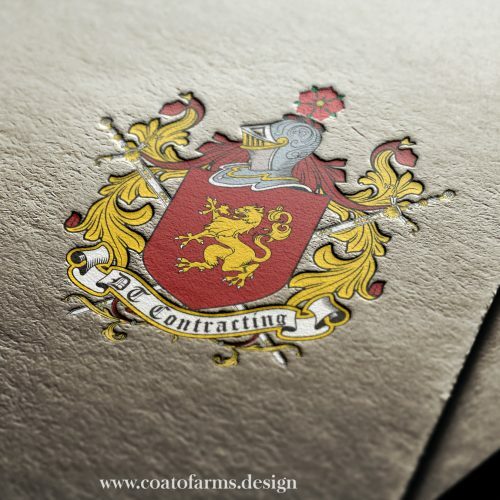 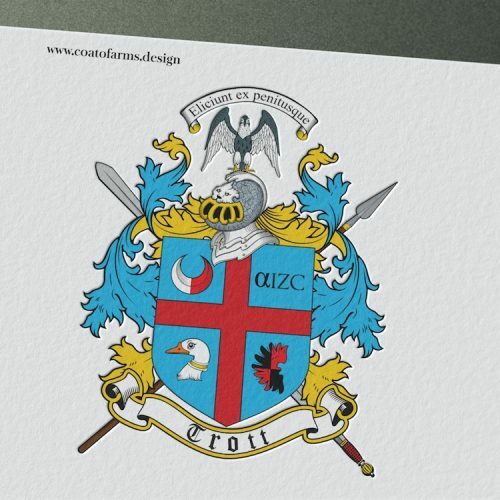 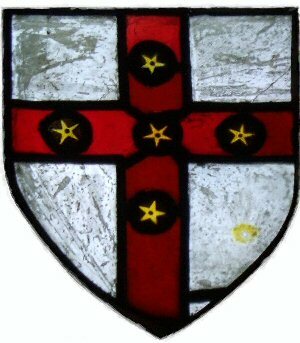 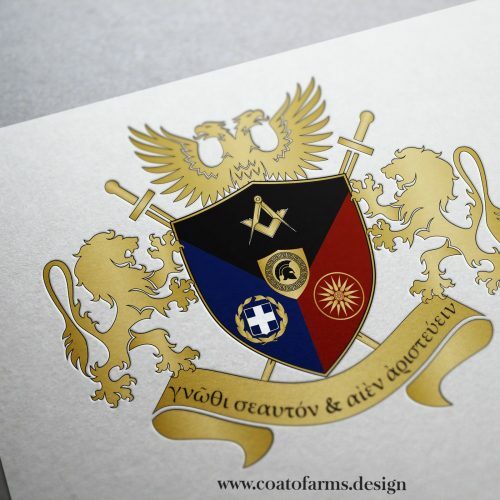 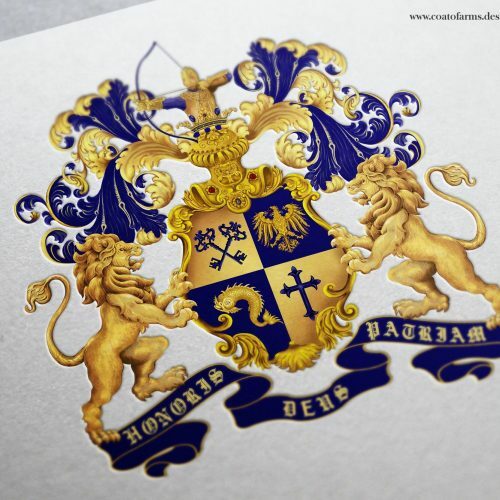 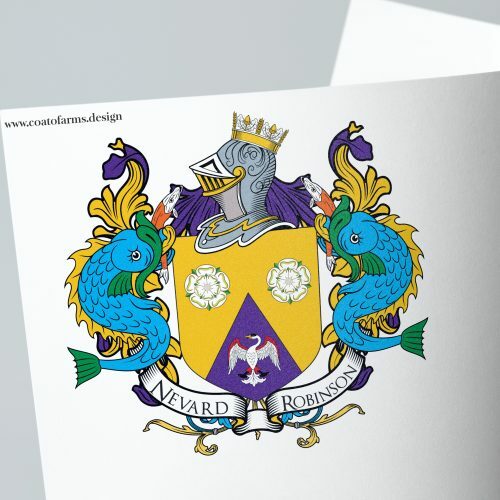 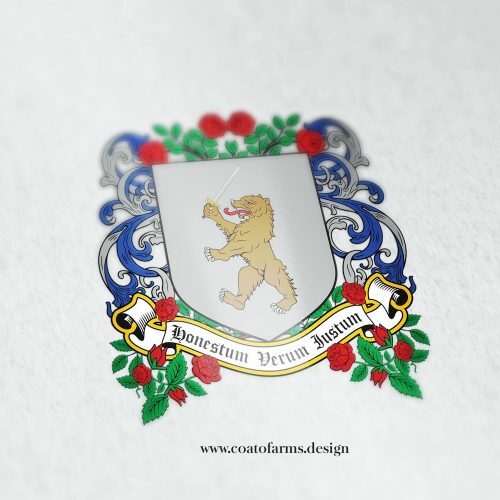 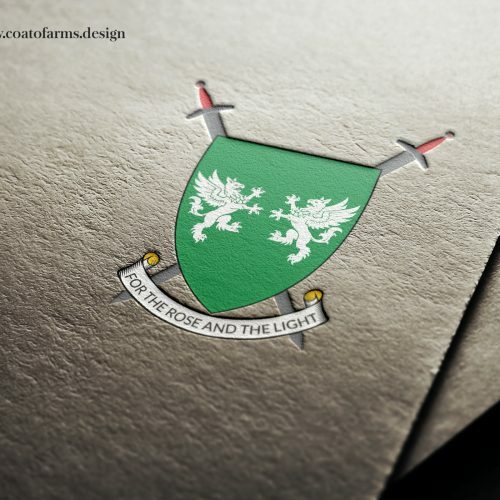 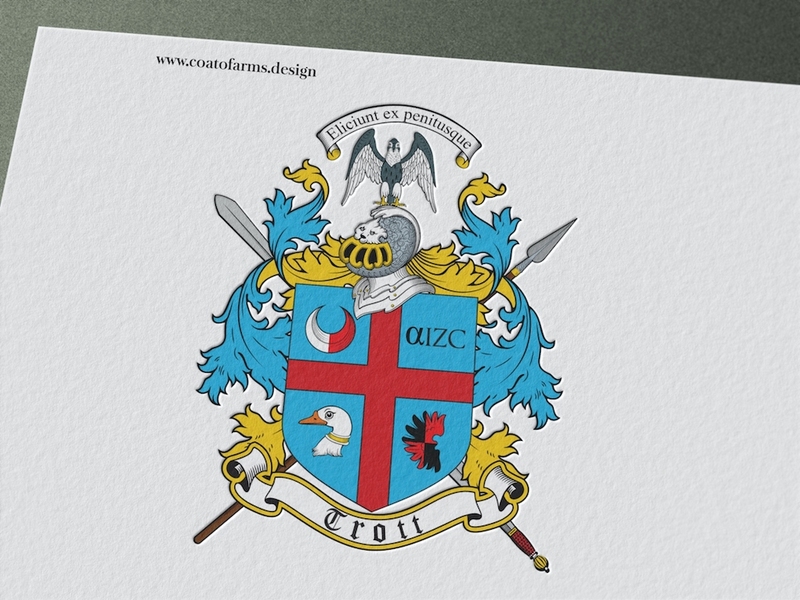 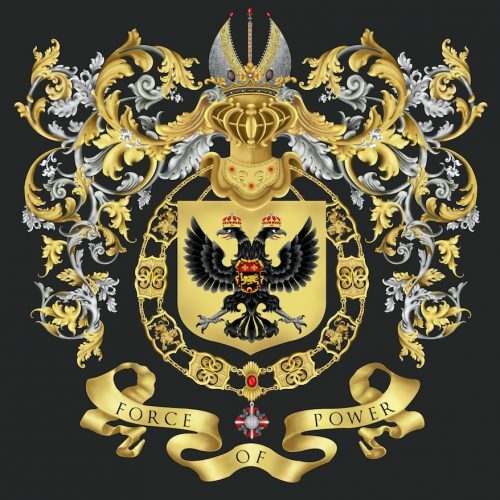 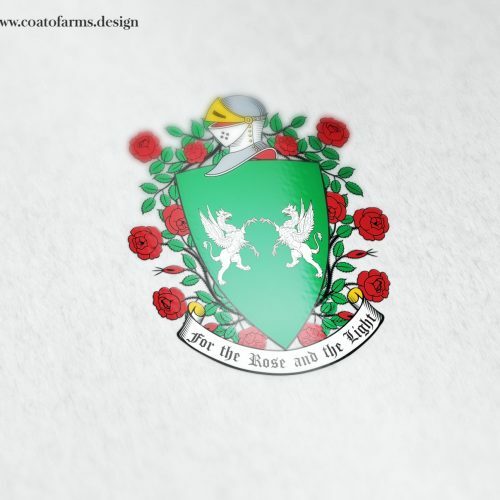 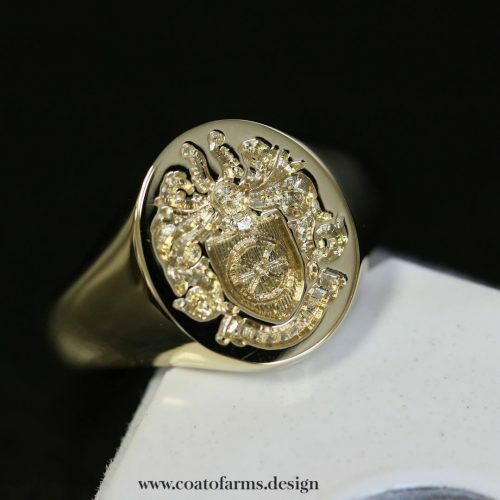 This family crest includes a crowned heart, a cross and two crossed swords. 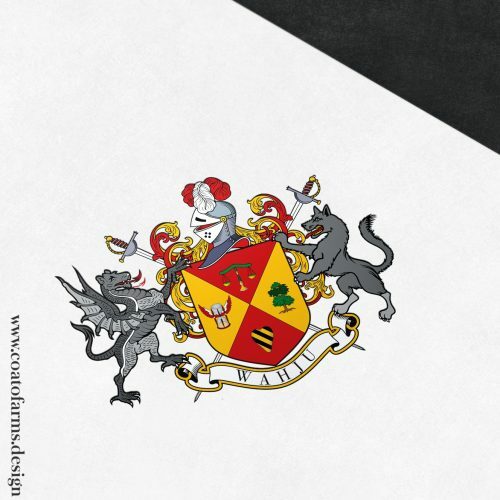 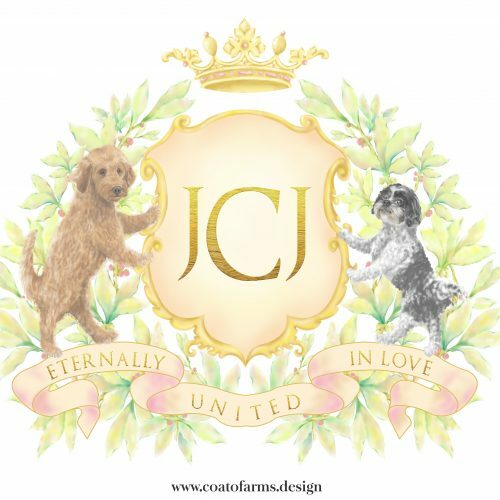 The supporters – two white heraldry lions. 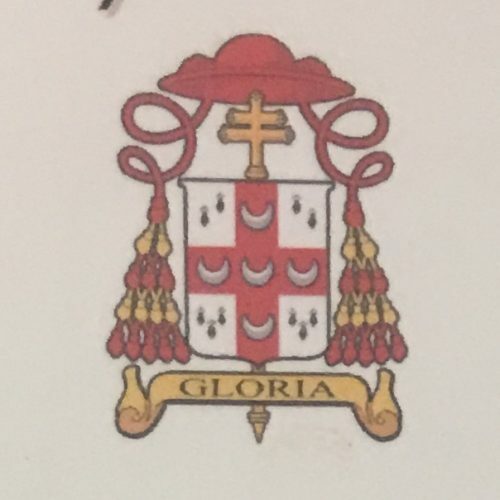 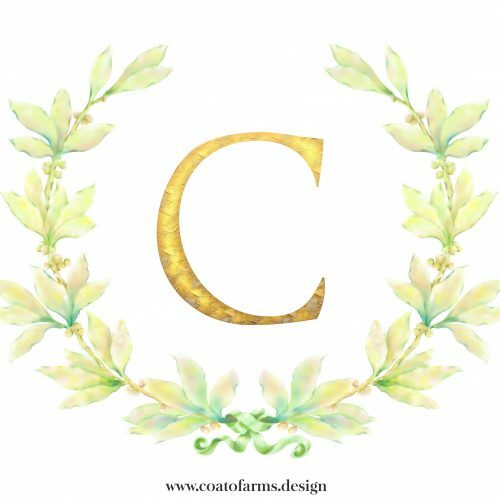 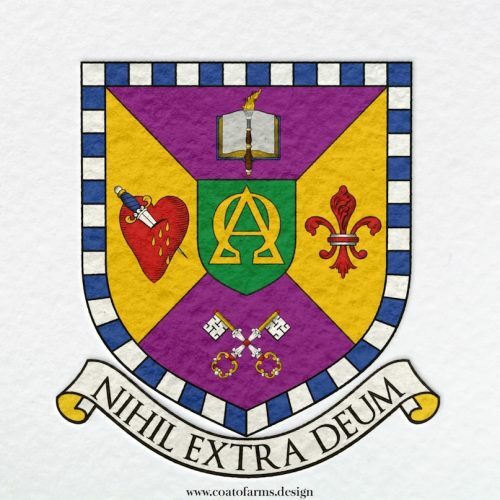 Additionally on the upper ribbon “Soli Deo” which is the family saying.